The full lighting ceremony for Saturday starts at sunset, 8:22 pm. 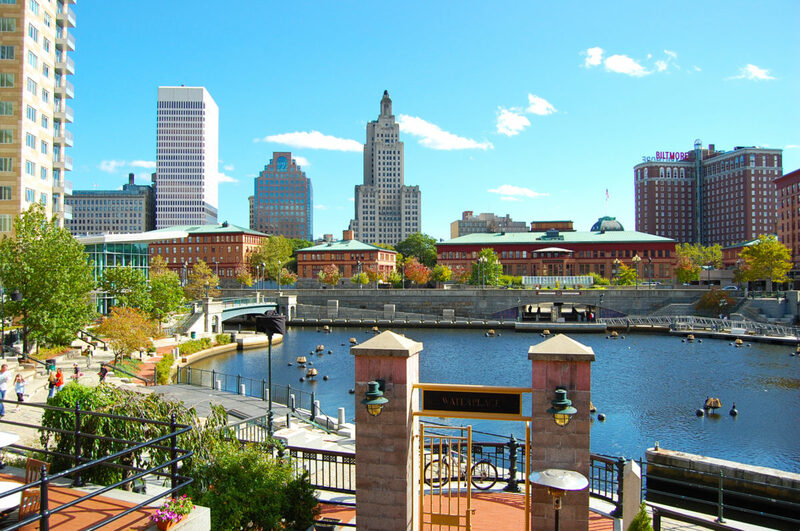 If you’re looking for other things to do during your stay in Providence, you’re in luck! The Creative Capitol is celebrating the anniversary of the Gaspee affair this weekend, so history is the theme. Go the annual parade, attend a culinary concert, watch the celebratory fireworks, and more! The full lighting ceremony for Saturday starts at sunset, 8:22 pm. 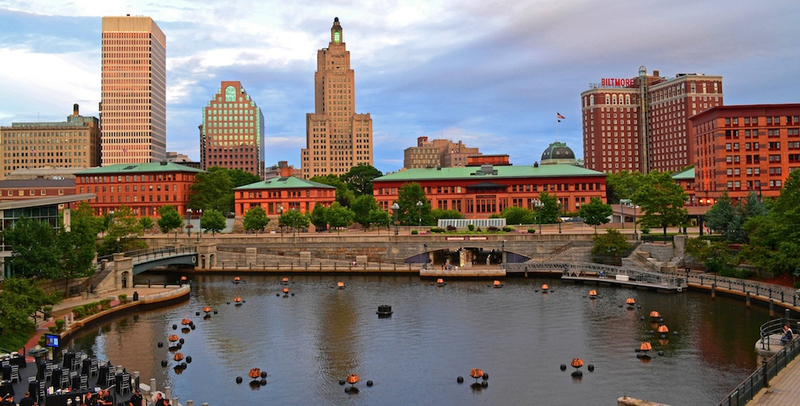 If you’re looking for other things to do during your stay in Providence, you’re in luck! The Creative Capitol is celebrating the anniversary of the Gaspee affair this weekend, so history is the theme. Go the annual parade, attend a culinary concert, watch the celebratory fireworks, and more! Get around the city easier with maps, our dining out guide, hotel suggestions, parking recommendations, and more. Armory Farmers Market Stop by the Armory Farmers Market for fresh, local food! This market offers the Healthy Foods, Healthy Families Program! Music on the Hill Culinary Concert Musicians from Rhode Island will be performing at the SS Rose and Clement Church as a part of the Music on the Hill Festival Series. Tickets are $20 in advance or $25 at the door. Advanced ticket sales end June 1st. Students with ID receive free admission. PPS’s 35th Annual Festival of Historic Houses The Providence Preservation Society (PPS) announces the 35th Annual Festival of Historic Houses, taking place this year on June 13, 14, and 15. The Festival, known for opening some of Providence’s most interesting homes, gardens and converted industrial mill spaces to visitors from across the region, highlights Providence’s post-industrial heritage through its dynamic housing stock. Continues on Saturday and Sunday. Gaspee Days Colonial Encampment The Gaspee Days Colonial Encampment gives visitors a feel for colonial military life. Dozens of Militia will camp out for the weekend in authentic Revolutionary style. Gaspee Days Ecumenical Service The Gaspee Days Ecumenical Service is a non-denominational service with music by the West Bay Chorus, and is hailed as “An outstanding tribute to the faith of America”. 49th Annual Gaspee Days Parade The 49th Annual Gaspee Days Parade will feature a colonial fife & drum corps, Civil War era units, modern day drum & bugle corps, & much more! The Mummers are the grand finale unit. The forecast for the day is sunny and clear, so join Gaspee Days in celebrating the 49th Annual Parade! Alla and Edna Brown 5k Gaspee Days Road Race The 5K Gaspee Days Road Race is one of the great runs in New England, as participants compete in front of the crowds assembled for the Gaspee Days Parade which follows. The Gaspee Project at WaterFire WaterFire Providence Presents the Gaspee Project. June 14th, 2014, 242 years after the burning of the HMS Gaspee, as we retell and relive the story of that historic night through a variety of artistic mediums, events, and experiences. The WaterFire Arts Festival Plaza WaterFire Providence and Bryce Studio are pleased to announce that the Arts Festival Plaza will return for the 2014 WaterFire Providence season. Located on Washington Street in the heart of the WaterFire installation, the Arts Festival Plaza is a showcase for local artists and crafts-people. From photography and sculpture, paintings and hand-crafted ceramics, to jewelry and specialty textiles, the WaterFire Arts Festival Plaza features a wide range of locally crafted artisan wares to exhibit for sale to WaterFire’s visitors. WaterFire Full Lighting A WaterFire Providence full lighting will be held on Saturday, June 14th, at sunset around 8:22 pm. This event will be sponsored by the University of Rhode Island’s College of Business and the Rhode Island Hoteliers. Gaspee Days Sunday in the Park Come to Gaspee Days Sunday in the Park in Pawtuxet Park and experience what life was like in colonial America, along with cooking demos. Bring a picnic basket and enjoy live music and the outdoors. Witness Royal Navy press crews in action! Gaspee Days Raffle Support local community businesses who have helped sponsor the Gaspee Days events by purchasing your tickets for the Gaspee Day Raffle here. Tickets will be drawn at Gaspee Days Sunday in the Park event on Sunday, June 15th. The Burning of the Gaspee This Sunday, June 15th at 4pm, come see the reenactment of The Burning of the Gaspee. Celebrate the ending the Gaspee Days Festivities with the symbolic burning of the ship that sparked the American Revolution.